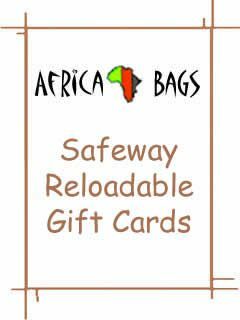 To begin Fund Raising today please purchase your SAFEWAY RELOADABLE CARD through the Africa Bags Online Store. Join our Safeway Fundraiser TODAY! Africa Bags is offering an EASY way for all of you to Fund Raise for our friends over in Malawi! Africa Bags and Empowering Malawi are selling Safeway cards. Purchase a reloadable Safeway card that is good at ALL Safeway stores throughout the US for $5.00. This card will arrive with a $5.00 credit applied to the card. 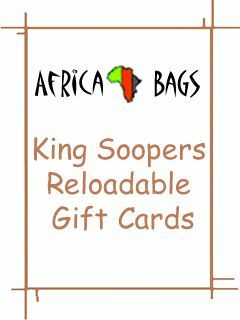 Use this card to purchase groceries, gasoline, etc and 5% of all sales will be given directly to Empowering Malawi and Africa Bags! The Safeway reloadable cards need to be reloaded in a separate transaction before the checker begins to check out your groceries at the check stand. They can be reloaded at the check stand or at customer service. If a Safeway Gift Card is at a zero balance for more than 90 days it will automatically deactivate. Please reload and reload often. This card can also be used for gasoline purchases at our Safeway Gas station stores.